In 1994 there were 45 Grandmaster (GM) titles awarded. In 1994, chess master Charles Meidinger was in a car wreck on his way to an Armed Forces tournament in Fort Knox, Kentucky. He rented a car and showed up at the tournament with a neck brace. He won the event. Bill Wall took 2nd place. In 1994, Peter Svidler won the Russian chess championship. In 1994, Jay Bonin and Walter Shipman tied for 1st at the Manhattan Chess Club championship. 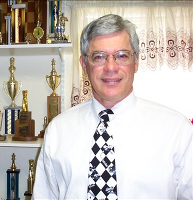 In 1994, Michael Rohde won the Marshall Chess Club championship. In 1994, Rustam Kamsky, Gata Kamsky's father, threated to kill grandmaster Nigel Short at a restaurant during a Kamsky-Short chess match. Rustam, a former boxer, would often go to chess tournaments with his some and threaten anyone who he perceived was disturbing the concentration of his son. In 1994 Kasparov lost to Fritz 3 in Munich in a blitz tournament. The program also defeated Anand, Short, Gelfand, and Kramnik. Grandmaster Robert Huebner refused to play it and lost on forfeit, the first time a GM has forfeited to a computer. Kasparov played a second match with Fritz 3, and won with 4 wins, 2 draws, and no losses. At the 1994 Intel Speed Chess Grand Prix in London, Kasparov lost to Chess Genius 2.95 in a 25 minute game. This eliminated Kasparov from the tournament. In 1994, Robert Holling (Navy) won the 35th US Armed Forces championship. The Sea Services won the team championship. In 1994, Joseph Neale was a postal worker who was dismissed from a part-time city job coach coaching chess as a community center in Riverside, California. He went postal and took his grudge to City Hall where he shot the mayor, three members of the Council, and two policemen in 1998. 11 other people sustained minor injuries from flying glass. None of the shots were fatal. In 1994, FIDE master Graham Burgess played 500 games of blitz chess (5-minute chess) in 3 days. He won over 75% of his games. In January 1994, the top rated players were Kasparov 2810; Karpov 2740; Anand 2715 ;and Ivanchuk 2710. On January 30, 1994, Peter Leko became a grandmaster at the age of 14 years, 4 months, 22 days. On February 25, 1994, Triantafilos Siaperas died. He was born in 1932. He was a Greek IM and won the championship of Greece twice. On February 27, 1994, Hou Yifan was born in Xinghua, China. She is the current world women's champion. On March 15, 1994, Anatoly Karpov won at Linares (2685 average rating); 2985 performance rating. In April 1994, Lembit Oll and Ehlvest won the 12th New York Open. On April 13, 1994, Jordy Mont-Reynaud became the youngest master at 10 years, 7 months. I was his early coach. On April 24, 1994, Vishy Anand won the 1st Intel World Chess Grand Prix, held in Moscow. On May 1, 1994, Browne, Kaidanov, Akopian, Ehlvest, and Mortazavi tied for 1st at the National Open, held in Las Vegas. On May 24, 1994, Don Oswald died. He ran THE CHESS HOUSE books sales. On April 6, 1994, Saenz won the US Amateur Championship. On June 17, 1994, Ray Satterlee (1936-2005) won the US Senior Open, held during a Bermuda cruise. On July 4, 1994, Artashes Minasian won the World Open, held in Philadelphia. In July 1994, Selby Anderson took 1st on tiebreak at the San Antonio championship. Bill Wall was third Expert. Thomas Katsampes tied for 1st Class C. On July 29, 1994, Josh Waitzkin won the US Junior Championship, held in Bloomington, Illinois. On July 30, 1994, Theo van Scheltinga, Dutch IM, died. On July 31, 1994, Vadim Tsemekhman won the US Junior Open, held in Bloomington, Illinois. In August 1994, Salov, Gelfand, and Kamsky won their FIDE matches in India. On August 5, 1994, Elena Donaldson won the US Women's Championship in Bloomington, Illinois. On August 6, 1994, Mark Taimanov won the 4th World Senior Championship at Biel. On August 18, 1994, Georgi Orlov won the 95th US Open in Chicago. On September 3, 1994,Vassily Ivanchuk won the Intel Grand Prix. On September 15, 1994, Helgi Gretarsson won the World Junior Championship in Brazil. On September 16, 1994, Robin Ault died in Newton, MA. He won the US Junior championship three times in row. On September 23, 1994, Gyula Kluger, Hungarian IM, died. In 1994, the chess Olympiad was held in Moscow only after the scheduled site in Thessalonki, Greece cancelled out 55 days before the start of the event. During the event, Grandmasters Alexander Shabalov and Alex Yermolinsky (both representing the USA) were robbed when they went for a walk. A team that represented the International Braille Chess Association participated. Russia A and Russia B won the gold and bronze medal. It was the first and only time that the same nation won more than one medal. Ivanchuk played all 14 games without a loss. Hungary had a woman, Judit Polgar, as board 1, a first for the Olympiad. In 1994, during the Chess Olympiad in Moscow, the captain of the Irish chess team was mugged in the street by a gang of gypsy children and was only saved by an old lady, who waded into them with an umbrella, to such effect that one boy later required hospital treatment! Another team captain unwisely visited the local bank to change several thousands of dollars in foreign currency, only for the bank, “coincidentally”, to be robbed at that very moment. The Macedonian team captain was beaten into unconsciousness and robbed twice. The first time, he was robbed of $7,000 inside a bank that was across the street from the playing center. A U.S. player was mugged, and robbers threatened his life if he did not come back the next day with more money. Other chess players reported that thugs pounded on their hotel doors in the middle of the night and threatened them. On October 2, 1994, Joel Benjamin won the 5th Harvard Cup of Man vs. Computers. WCHESS became the first computer to outperform grandmasters at the Harvard Cup in Boston. On October 5, 1994, GM (2010) Ray Robson was born in Guam. On October 6, 1994, Kamsky and Anand advanced to the PCA finals after winning at Linares. On October 26, 1994, Boris Gulko won the US Championship in Key West, FL. $8,000 was the first place prize. On November 6, 1994, Vladimir Zagorovsky, former world correspondence champion, died. In November 1994, the 30th American Open, held in Santa Monica, was won by Dmitry Gurevich. In November-December 1994, the NATO championship was played at the Royal Military Academy in Breda. Norway took 1st place, followed by The Netherlands and Denmark. The USA took 9th place. Top scorers were Lucas Van der Linden of The Netherlands and IM Jean-Rene Koch of France. On December 13, 1994, Olga Rubtsova, former Women's World Chess Champion, died.